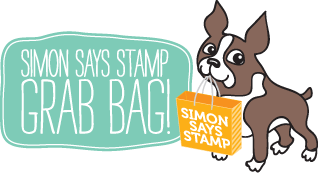 Hello crafters, it’s Nina-Marie with you today! Welcome back to my latest Studio Monday tutorial, featuring some shiny foils, Fall themed stamps and Foil Mates from Gina K. Designs! With all the leaves changing colors, the crisp fresh air and sunflowers popping up in everyone’s outdoor decor, there is no denying that all the Autumn vibes are abound. The pretty florals are from Gina’s Graphic Sunflowers stamp set; I used the Wild Dandelion, Gold and Copper Deco Foils with the Grapic Sunflowers Foil Mates sheets to create the shiny foil areas. The flowers were stamped with Duckling, Sunshine, Green Leaf and Evergreen inks. There is a bit of accent stamping behind the florals, which I created with the Simon Says Stamp, Look for the Miracles set. The greeting for this card was from the Gina K. Designs Thankful and Blessed stamp set and was embossed in white. I created texture on the card base by using the Neat & Tangled Star Cover Plate die. Finally, I embellised the sunflowers with gold jewels; I love how the gems accent these florals so perfectly! 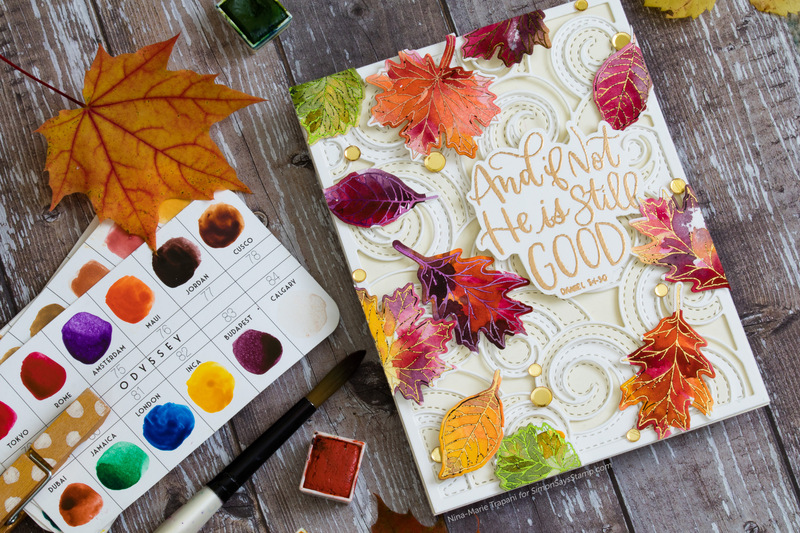 The second card I created features the lovely, Thankful Leaves collection! 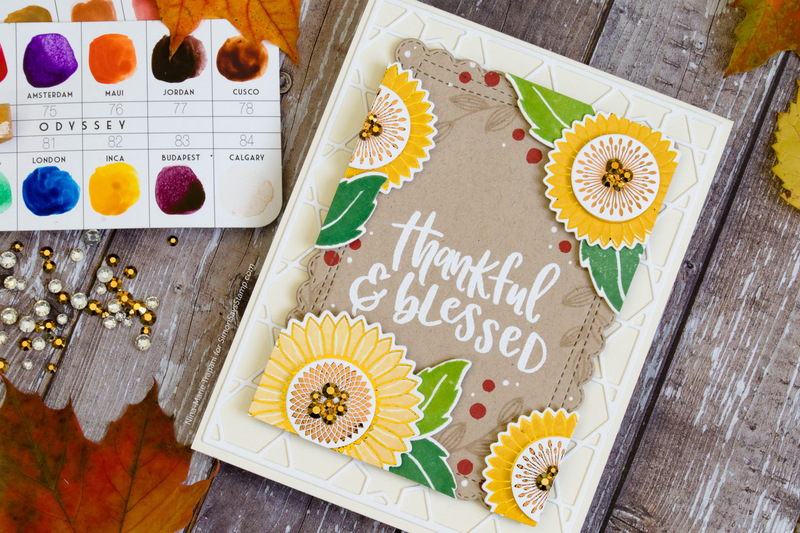 I wanted to do something a bit different to color the leaves, as I used a stamping for the sunflower card. I could have used Copics or pencils, but decided to see how the Thankful Leaves Foil Mates paper would take watercolors! Because these Foil Mates are heavy-weight cardstock and not watercolor paper, you cannot overwork the paper or it will pill But for something organic, such as dropping in colors for leaves, it worked perfect! I layered the foiled leaves onto a card base that has a stack of the Birch Press Designs Wave dies adhered on top. I love how the swirls of the waves make it appear as if the leaves are falling! The sentiment I embossed with Antique Gold embossing powder and I embellished areas around the leaves with gold confetti. For the foiling, I used the following Deco Foils: Amethyst Watercolor, Spring Green, Gold, Sweet Mango and Copper. 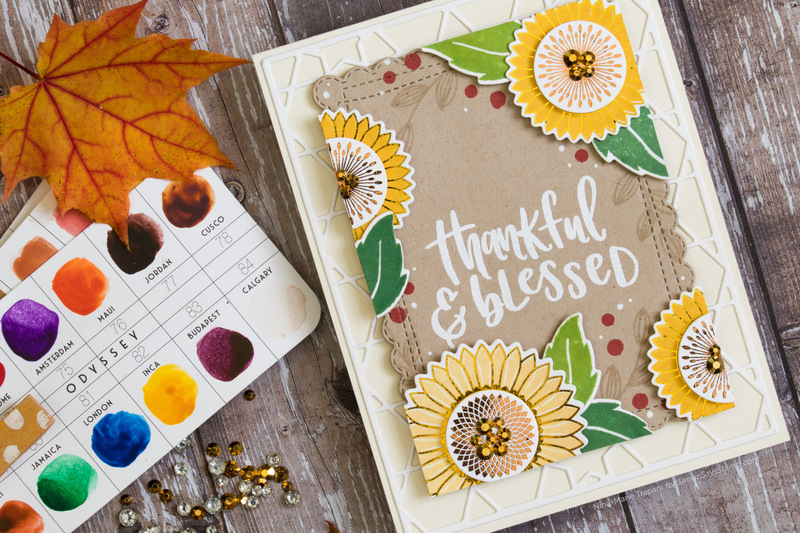 Each of these cards are great examples for how you can use the Gina K. Designs and ThermoWeb Graphic Sunflowers and Thankful Leaves Stamp ‘n Foil products! Be sure to watch the video below to see how I created these foiled beauties! The leaves look AMAZING with the foiling. WOW! Wow Nina-Marie, I love these cards especially the one with the gorgeous watercoloured and foiled leafs. Thank you so much for your inspiration and tips. I love how you used the Waves die to symbolize wind blowing the foiled autumn leaves around the card! So beautiful! The sunflower card is so pretty, too! Amazing cards!! The leaves are simply breathtaking! Wow that’s foiling is really pretty! The foiling looks so beautiful, do you need the laminator or could you use a bone folder to apply the foil?? Gorgeous palette on these lovely cards. Thanks for sharing your tips and the technique video. These are such pretty cards! Wow! What spectacular cards! The leaves are amazing! Very pretty cards Nina-Marie. I especially love the colorful leaves! Wow … that foil looks so fun to work with; I like how you did the watercolor flowers! Love the wave dies background, it looks wind swirling the leaves around. So beautiful! Love the effect of the foiling! Your autumn leaves are so beautiful! Lovely cards. Love the leaves. Beautiful Fall cards. Love the foiling. These foil leaves are so realistic and beautiful. Beautiful cards and a fun technique. Wow! Both cards are so beautiful in textures, colors and design! 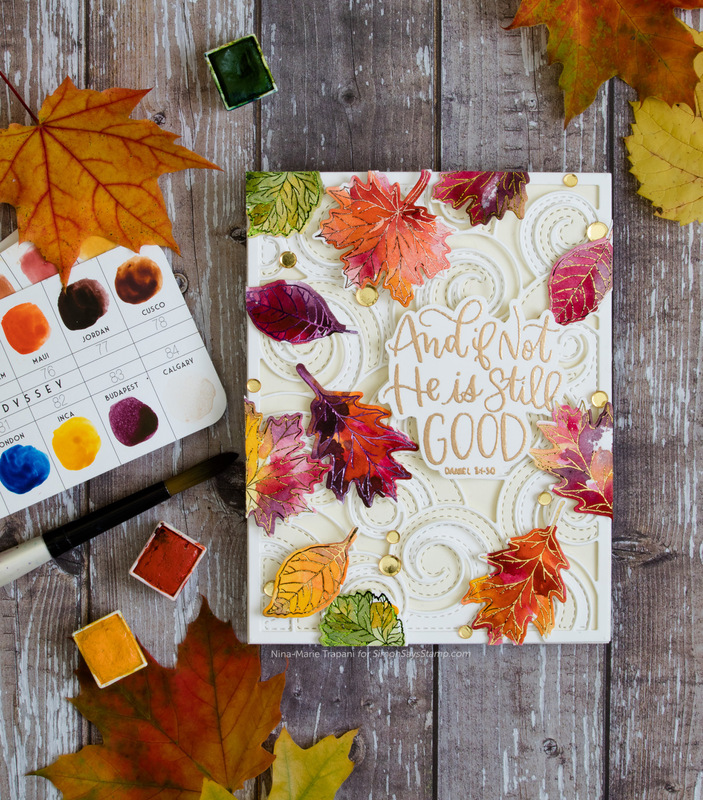 Gorgeous fall cards! Love the addition of the foils! Foil is just the prettiest thing. I already follow by email. Such pretty cards Nina! I especially love the one with the leaves. I love both cards. Colors are amazing and the foiling gives them that special something. WOW these are stunning, I love the bright colors! Absolutely adorable cards with our Gina K. Designs StampnFoil. Loved the idea for watercoloring on the Foil-Mates! Perfection! Beautiful cards! Love those fall leaves!! Such beautiful and original cards!